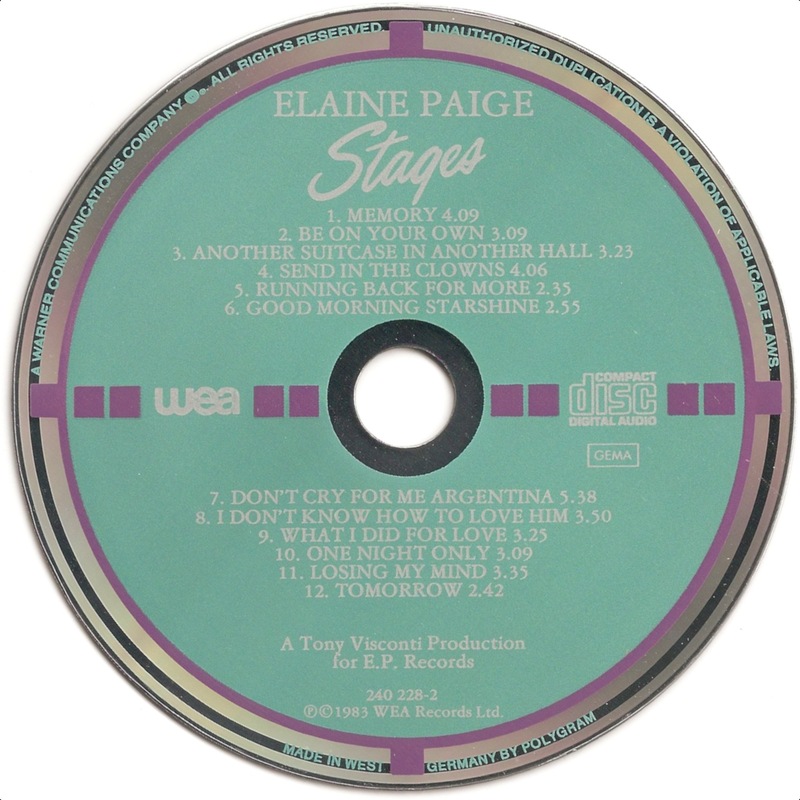 Elaine Paige OBE (née Bickerstaff; born 5 March 1948) is an English singer and actress best known for her work in musical theatre. 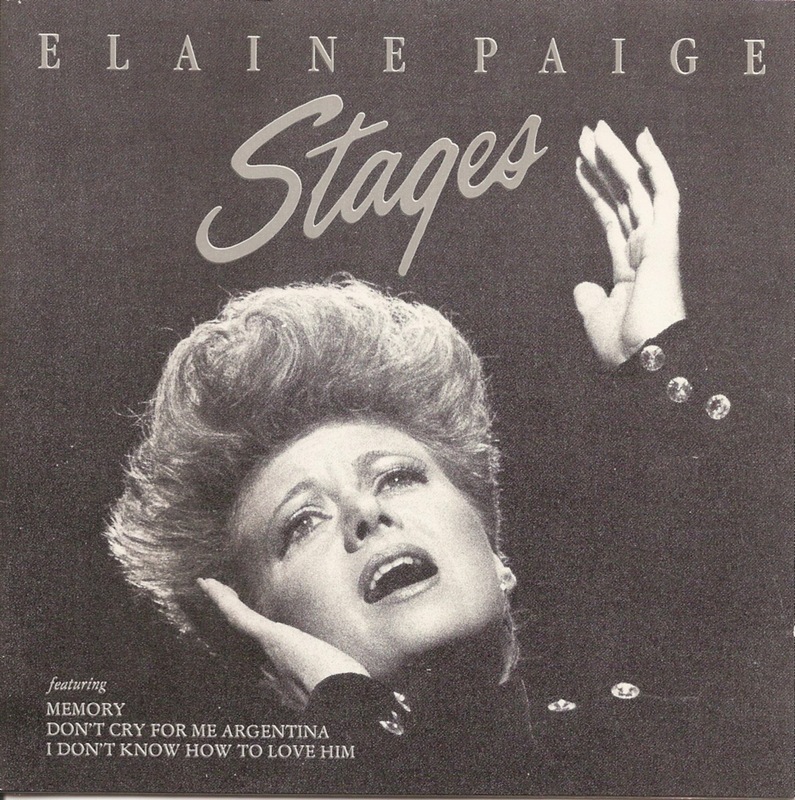 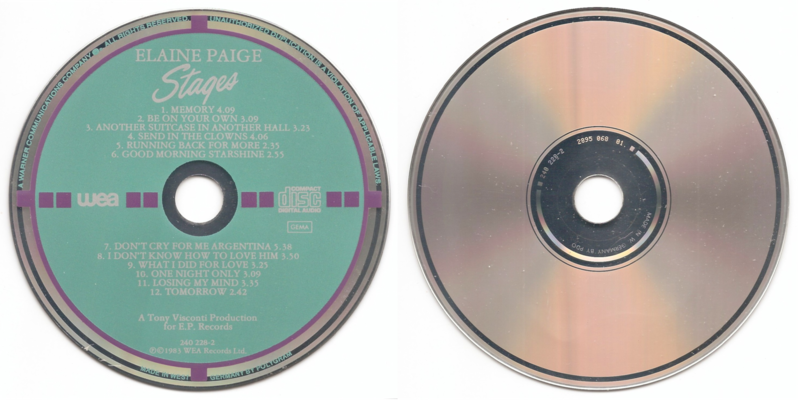 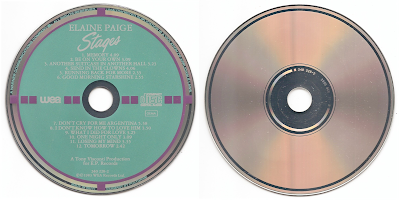 Stages is an album by Elaine Paige, released in 1983. 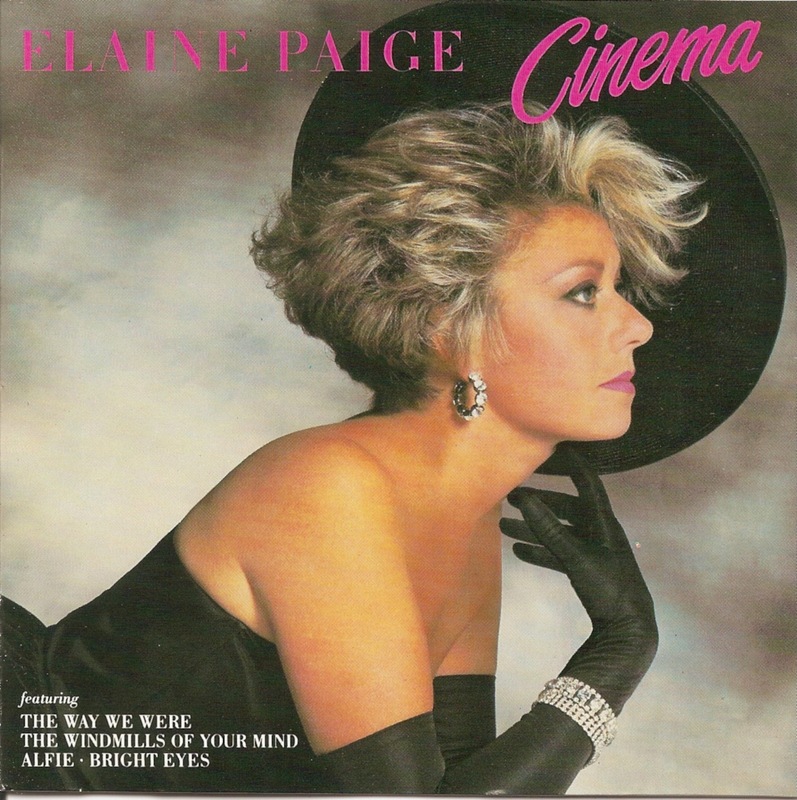 Cinema is the fourth solo album by Elaine Paige. 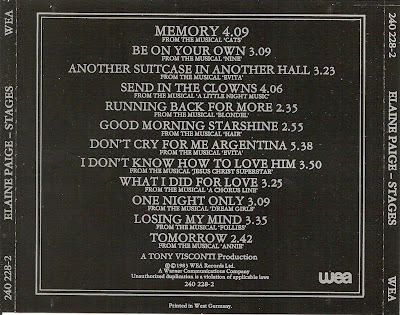 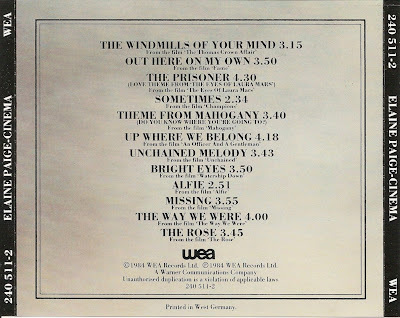 The album was released in 1984 on Warner Music. 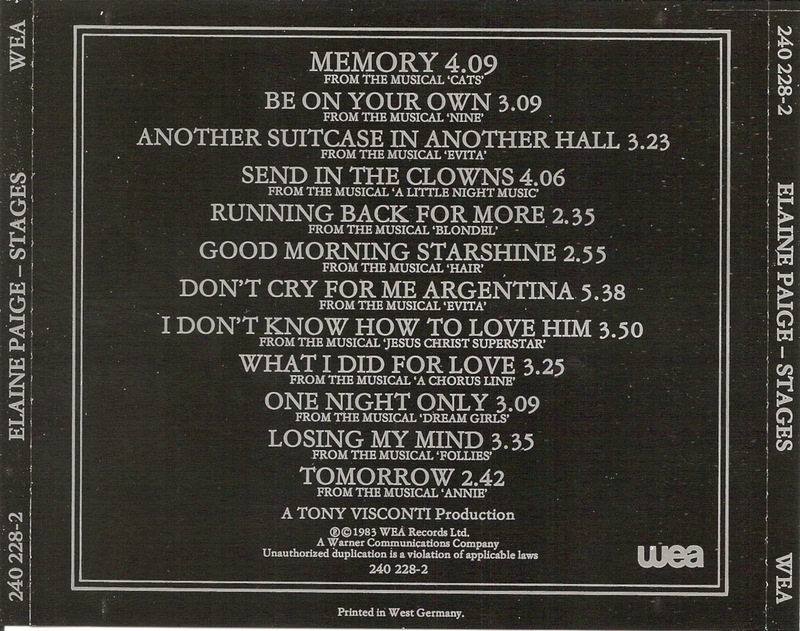 D-1 : WEA - 240 511-2 - purple / teal / silver - MADE IN WEST ☐ GERMANY BY POLYGRAM - outer mirror band - 240 511-2 2895 069 01.